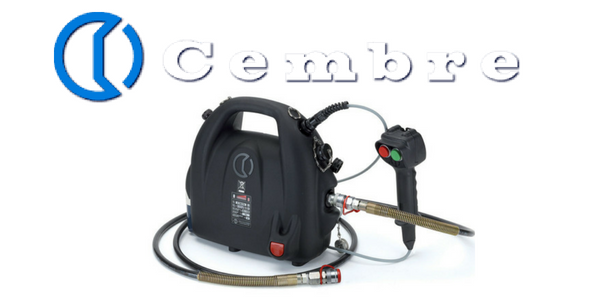 Cembre B70M-P24 is a portable electro-hydraulic pump operating at 24V dc by battery for independent us developing a maximum pressure of 10,000 psi for installing cable crimps, lugs and connectors. B70M-P24 pump features an integral socket for connection to an external 24 V dc supply. 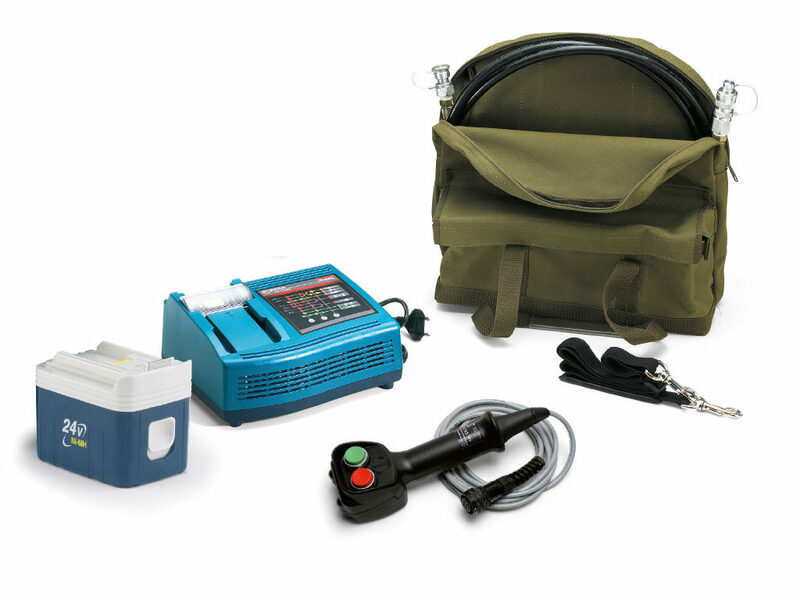 It is also available insulated and operated by remote pneumatic hand controller and supplied with an non-conductive hose. The pump is fitted with a maximum pressure valve and pressure switch. The MPC1 gauge is available upon request to check the proper setting of the pressure switch. 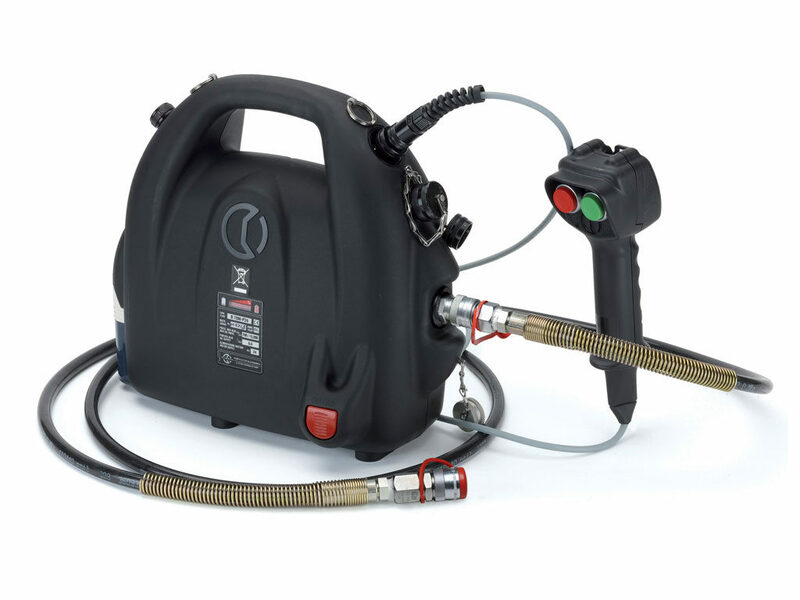 The electro-hydraulic pump is suitable for use with both Cembre hydraulic crimping tools and Cembre hydraulic cutting tools. Position the pump on a flat surface. There are two stable work positions recommended: Vertical, resting on its base. Horizontal, resting on its back where moulded ribs improve firmness and stability. Should it be necessary however, the pump’s hermetically sealed hydraulic circuit allows it to operate in any position. 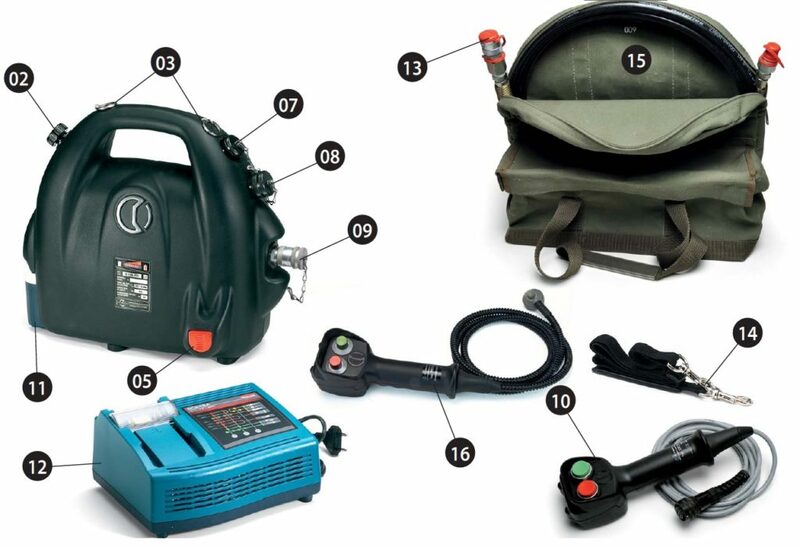 Care should be taken when using and operating the Cembre B70M-P24 – some general advice is provided here however should you have any additional queries please do not hesitate to contact us. Contact T&D to discuss crimping cables at MV-HV, including 11kV-33kV, to ensure correct Cembre tool, lug/splice and die set selection – visit battery crimping tools for repetitive crimping of cables without strain injury or worker fatigue.